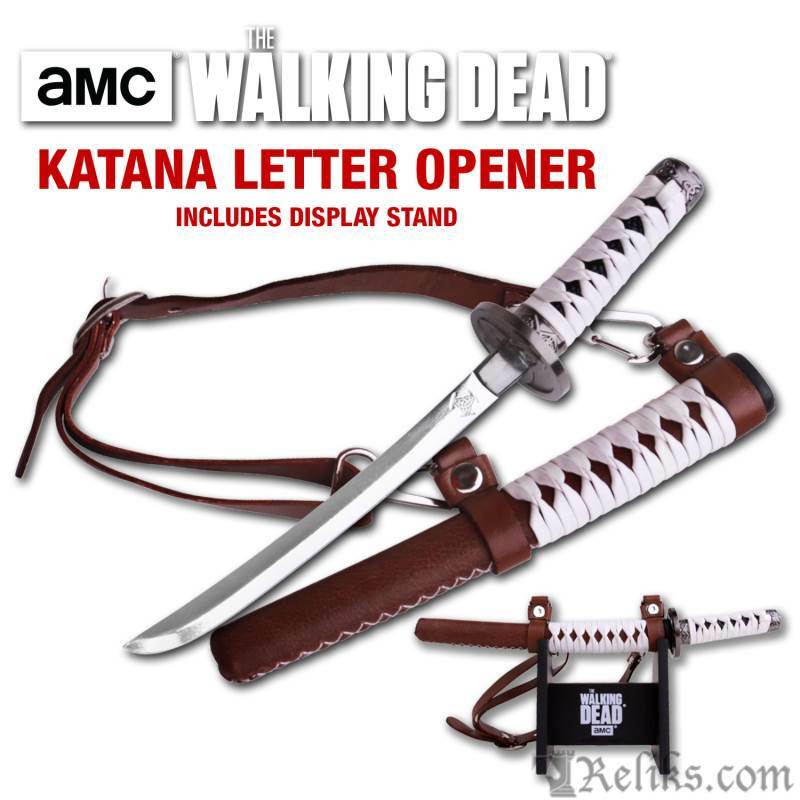 The Official Licensed AMC Walking Dead Michonne Katana Letter Opener! A Fan favourite from comics to AMC's the Walking Dead Michonne, the “Samurai Girl” played by Danai Gurira, has made many people image how they may reinvent themselves in a Zombie Apocalypse. Michonne is a lethal, battle-hardened walker assassin samurai! 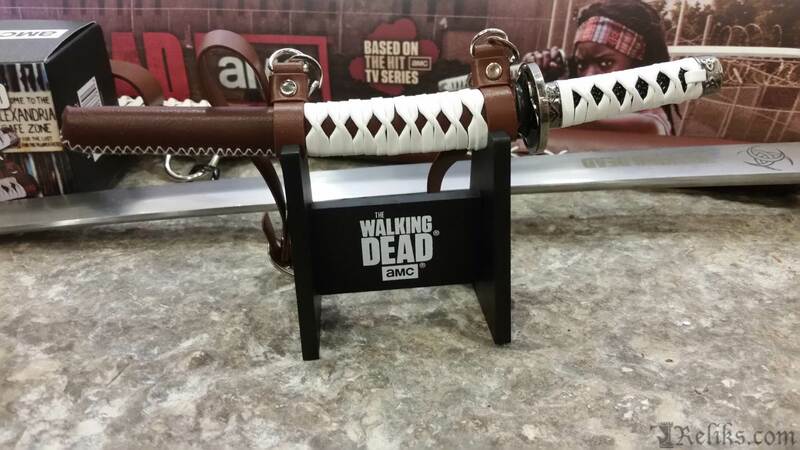 This miniature Michonne or sword letter opener has been replicated from the original prop design used by Michonne in the series. 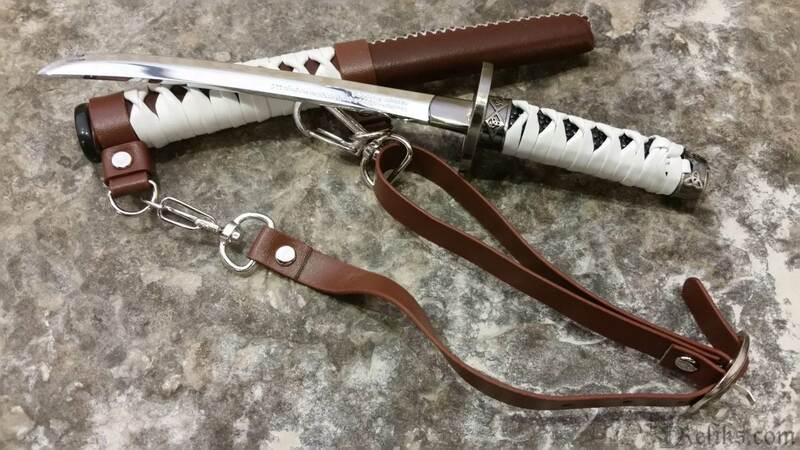 There is no edge making it a great collectible for several age groups The miniature samurai sword measures 7.5” overall with a 5” mirror polished blade. 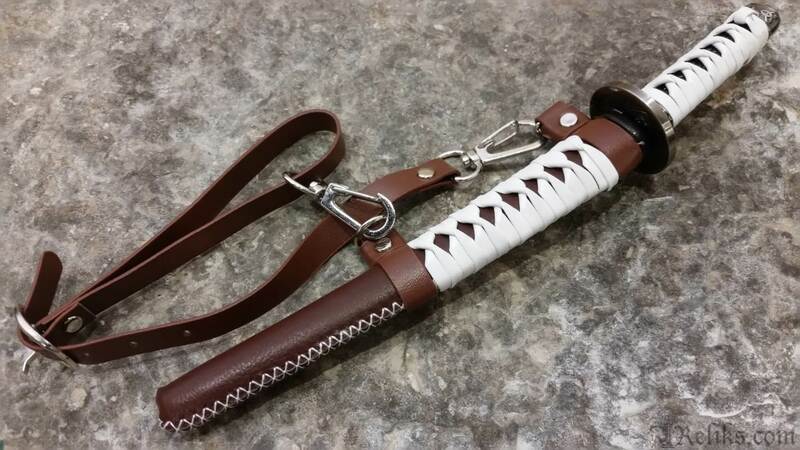 Like a real samurai sword the handle is made with ray skin (same) and is wrapped with a leather ito. 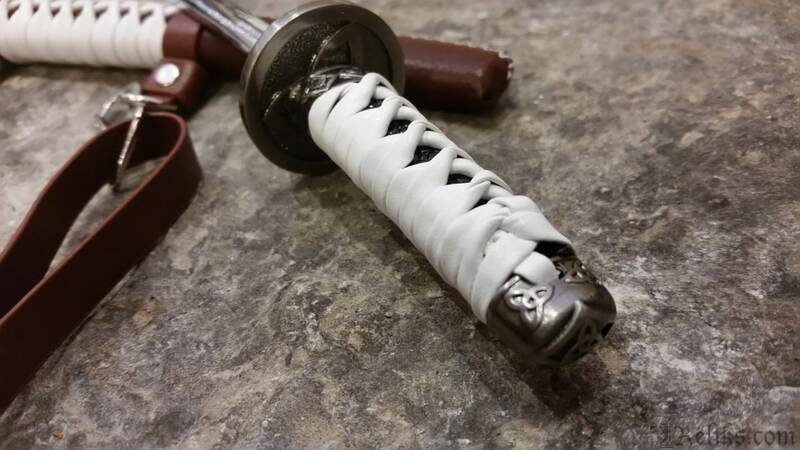 The scabbard is stitched to replicate the smallest of details of the full size sword . This piece also comes with a certificate of authenticity. 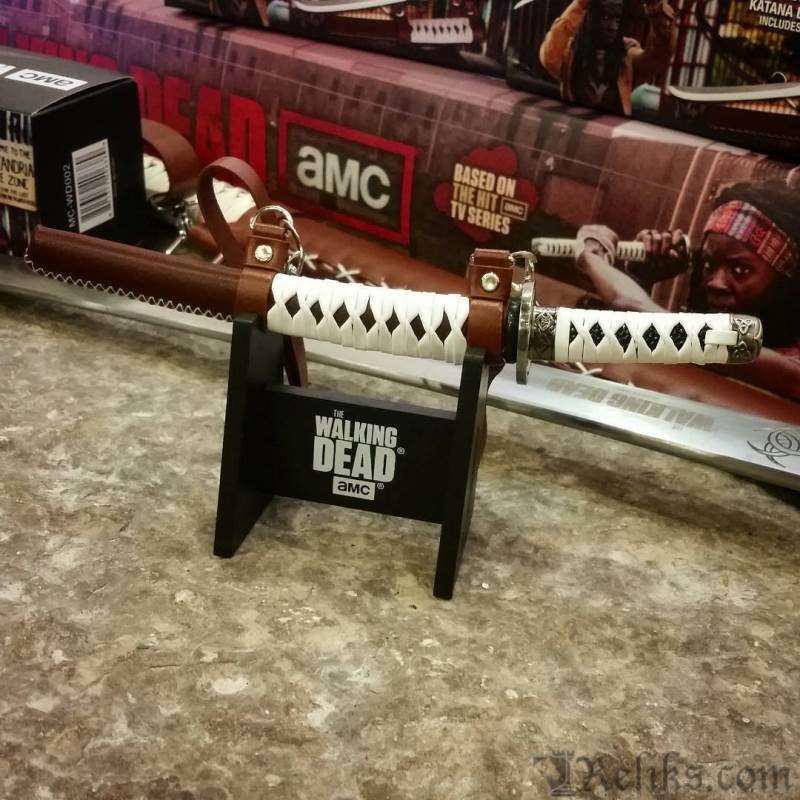 The Michonne letter opener looks great on a shelf or desk in the office, man cave or lady cave. Fight the Dead. Fear the living!